This is a handbook for pastors, elders, and all Christians who want to see how Scripture presents the process of discipline that should operate in the Christian community. 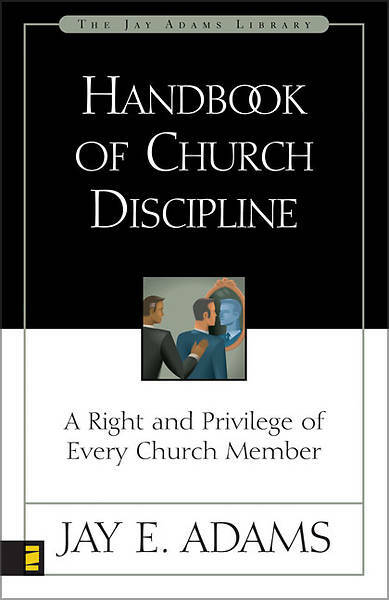 It was written in response to the various concerns that threaten to tear apart marriages, families, friendships, and congregations--concerns that call for a biblical approach to discipline that can heal fractures, restore right relationship, and ensure the health of the church. Developed around the five corrective steps found especially in Matthew 18:15-17, this book helps church leaders deal with the sorts of problems that require the church s disciplinary response. Charting a course that combines discernment with appropriate action, this simple, readable handbook can have a profound effect on the community of believers.